Ivanka Trump, much like her father, never fully divested from the Trump businesses before accepting a position in the White House, and she stands to make as much as $1.5 million from her holdings this year. This presents a huge conflict of interest as she makes decisions each day that directly affect her personal finances. Ring of Fire’s Farron Cousins discusses this. 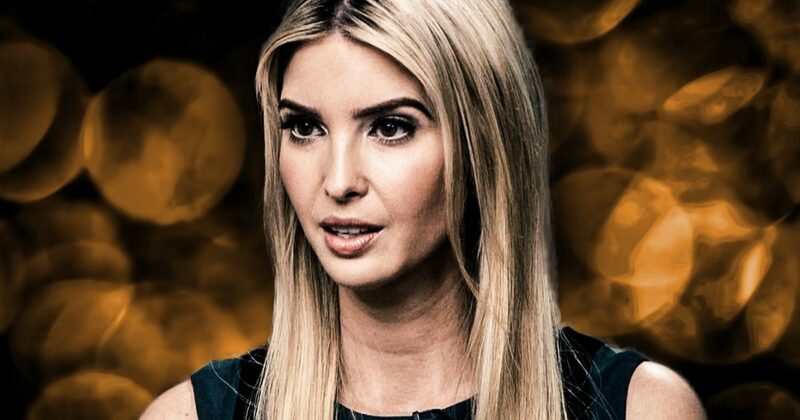 According to a recent report, Ivanka Trump is actually still pulling in a hell of a lot of money, well over $1 million a year, from her holdings within the Trump businesses. What this means is that Ivanka Trump, when she accepted a position in the White House, did not divest from the Trump businesses. In case anybody’s wondering, yes, that is absolutely a major problem and a major conflict of interest for Ivanka Trump. Think about it this way: Ivanka Trump is out there every day representing the federal government. She speaks to business leaders. She’s gone as a representative of the United States to other countries. She was at the G20 Summit talking to other world leaders, and business was something that they discussed. If she is out there trying to make deals that are going to benefit the Trump administration while acting as a government representative, then yes, that is a very clear violation of ethics laws, and Ivanka Trump could find herself in very serious legal trouble at that point. But, just like her father, she didn’t divest like she was supposed to. So, instead of just saying, like, “Okay. She can go out there and do whatever, because she doesn’t have a financial stake in it,” we now know that she is pulling in well over a million dollars a year while meeting with politicians who are going to enact policies that personally benefit her financially, meeting with world leaders who are going to do the same, and meeting with business leaders who are doing the exact same thing. This is one of the reasons why Ivanka is now under investigation by the FBI. If they find anything with the specific business meeting they’re looking into, which happens to deal with Canada, I’m sure they’re going to start looking at some of these other contacts that Ivanka has made and how much money she’s making off of these meetings. As I’ve said before, this is not just about getting rid of the Trump administration because we don’t like them; this is about an administration that is so wholly corrupt and disgusting that we are finding potential criminal behavior at every single level. Nearly everyone that has been part of an investigation in this Trump White House has been implicated in some sort of, again, potential criminal activity. Kellyanne Conway: three federal law violations of the Hatch Act. This is a criminal enterprise. With each passing week here in this country, we’re finding out more and more information that gives us even more potential crimes that they could have committed. This story with Ivanka not divesting, still pulling in money while at the same time meeting with people who could determine her financial future? This shows you what these people are all about and why a guy like Donald Trump even wanted to be president in the first place. It wasn’t about making America great again. It was about making his bank account fatter.